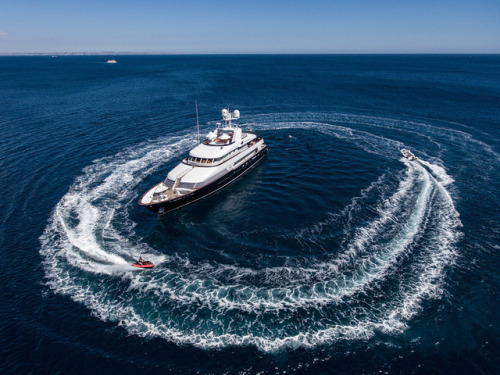 State of the art entertainment meets Zen sophistication onboard Tugatsu, a 45.20m motor yacht custom built in 1989 by renowned Dutch shipyard Feadship. 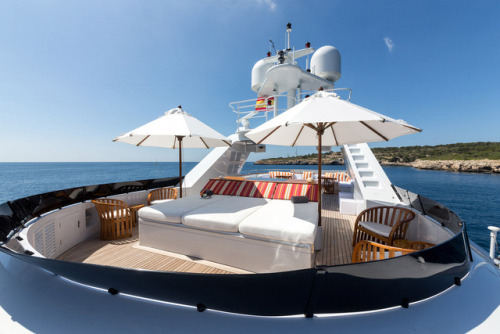 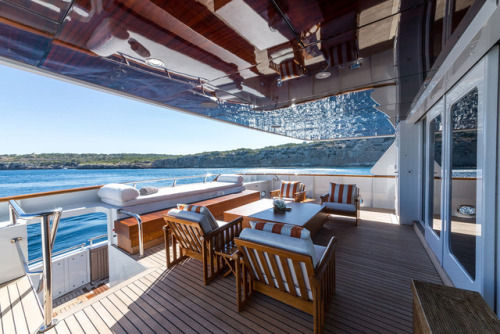 Updated almost every year since 2009, the vessel sports a luxurious Jon Bannenberg-designed interior, sleeping 12 guests in 6 stylish cabins. 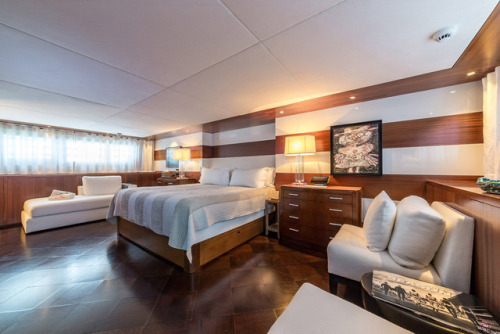 All accommodations have a clean Japanese inspired aesthetic, and come with ensuite bathrooms, flat-screens, and private entertainment centers. 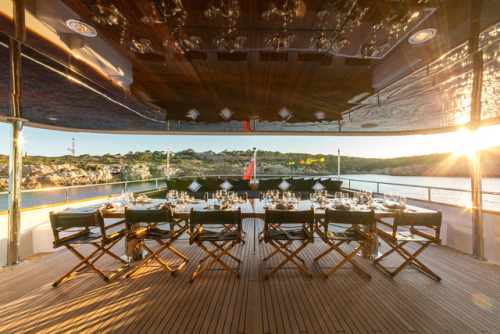 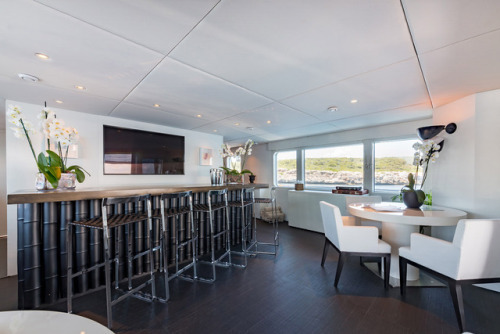 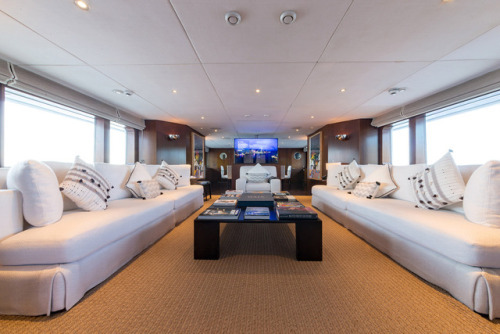 The main deck saloon features sumptuously comfortable seating and a formal eating place, while the generous upper deck provides endless entertainment options, with its elegant indoor saloon bar, alfresco dining areas, and DJ mixing gear. 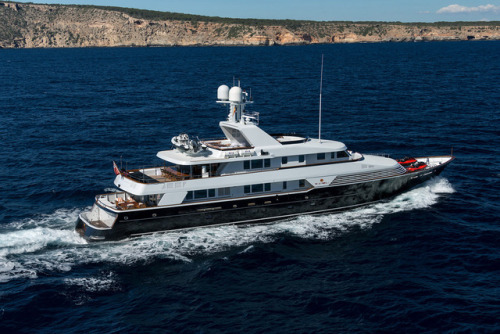 Tugatsu is now for sale through Y.CO and will be on display at the Monaco Yacht Show 2018 (26-29 September).